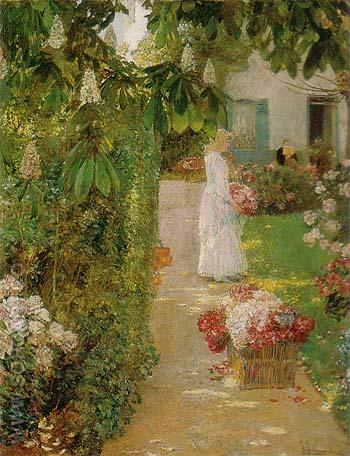 Childe Hassam - Gathering Flowers in a French Garden, 1888. You are here: Home / Artist / Childe Hassam - Gathering Flowers in a French Garden, 1888. Gathering Flowers in a French Garden, 1888.